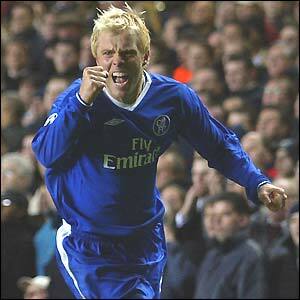 During his time at the club between 1998 and 2000, Gudjohnsen made a total of 77 appearances, netting 27 goals. It was sufficient to persuade Chelsea to see him as the perfect foil for the muscular Didier Drogba at the sharp end of Mourinho’s team. If leaving Bolton may have been a difficult decision at the time, the striker had the comfort ‘blanket’ of medals at Chelsea and then at Barcelona to ease any potentially ‘sleepless nights’. After leaving the Camp Nou however things were less rosy and stints at Monaco, Tottenham, Stoke and Fulham turned out to be almost ‘nightmares’ before a return to the continent saw him turn out for AEK Athens and then Cercle Brugge and Club Brugge. He was recently released by the Belgian club and will hope that a seeming ‘sleepwalk’ towards the end of his career may be delayed by a period back in Lancashire. Wanderers manager, Neil Lennon will know of the latter, less successful, part of the striker’s career, but clearly isn’t one to let ‘sleeping dogs lie.’ Speaking to BBC Radio Manchester at a press conference, he declared that “I think he’ll be a big-game player and enjoy the occasion. It will take him a little bit of time to adjust to the Championship and the quality of player he’s used to playing with,” adding that “we need that type of player with Mark Davies out and Chung Yong-Lee might not be here in January.” A potential loss of creativity clearly set the ‘alarm’ bells ringing for Lennon. In another reach back to the past, Lennon is also thought to be considering bringing his former charge at Leicester, Emile Heskey back to England. “Emile is a free agent and I know him very well from my time at Leicester – another player that we tried to sign in our time at Celtic,” he added. With the former England striker also 36, it would make any partnership between the two surely one of the oldest strike pairing in Championship history. 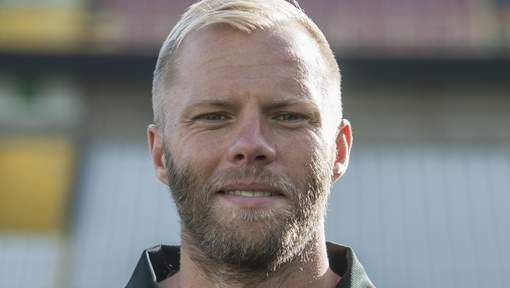 Gudjohnsen has now returned to Bolton. Bolton currently ’lie’ in the lower half of the Championship and whilst their defensive record suggests a need for more clean ‘sheets’ the move for Gudjohnsen, and potentially Heskey as well, will be primarily aimed at increasing their goal scoring potential. Lennon will be hoping the arrival of the veterans will serve as a ‘wake-up call’ for the squad to liven up recent ‘dozy’ performances, if the club want to ‘get up’ back to the Premier League. They’ll certainly want to close the ‘yawning’ gap between their current position and the promotion places. Bringing players to a club as their careers draw to a close can often be a risky business. Lennon has however ‘made his bed’ with the move for Gudjohnsen, but as it is only based on a deal until the end of the season, returning the player to English football after a period of ‘hibernation’ among lesser European clubs is probably worth the gamble. For the striker, in the ‘twilight’ of his career, it’s an opportunity for one last hurrah before the ‘curtains are drawn’ for the last time on his playing time. Robert/Nick: Thanks foropinions. Outlined on our site have an interest to check on associated with just about any advantages towards your SEO strategies when this is certainly implemented. We’ve tried to work with, but It isn’t going to works at all.